Those friendly faces that greet you daily in the golf shop are also instructors. Once you decide to improve your golf game, choose your instructor, contact him and you are on your way! Brian has taught thousands of lessons, and is an incredibly experienced instructor of the game with the skills to teach all levels of players from beginners to mini tour players. Brian, a great playing professional as well, is able to teach the how’s of the golf swing, and the “why’s” of shot making. 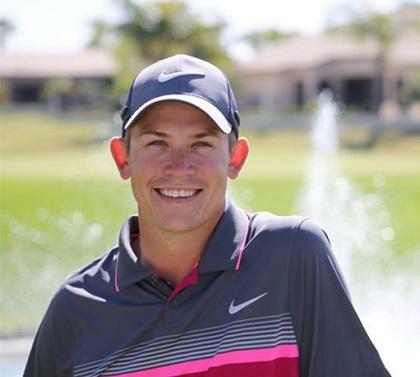 Josh has been teaching golf for over 17 years and has been a PGA Professional since 2011. Josh utilizes video to educate his students on the importance of solid fundamentals. He has helped hundreds of players improve their game and develop a better understanding of how the golf swing works. Don has taught hundreds of lessons and loves to work with beginners as well as advanced students. His hands on approach and overall knowledge of the game creates a relaxed environment for teaching to all ages and skill levels. Traditionally, golf has been the expensive sport starting with taking lessons. Augusta Ranch has a solution for you! Our Saturday Clinics pair you up with two longtime teachers. They give you the basics, work with you both in a group setting and one on one. Their fee; $10.00. Not many other sports allow you to "try it on" before committing. Come out to Augusta Ranch on Saturday morning and see what this game called golf is all about. Our games get rusty when our lives are busy! For $10.00, come brush off the cobwebs. No need to signup, just simply show up on the Driving Range with a $10 dollar bill. Those who have played golf a very long time can attest to the "old" habits creeping back into the game. Come to the Saturday Clinic and see if that is the issue with your golf. $10.00 could put you back on track. Augusta Ranch Golf Club in Mesa, Arizona is the home of Par Excellence Golf School. Offering a wide array of programing we are determined to help you fall in love with the amazing game of golf. Daniel has been teaching golf for over 15 years and has been a PGA Professional since 2009. He helps develop a swing that fits the golfer's game and ensures that the golfer will have fun on the course. He is very experienced in working with juniors as well as individuals with disabilities. Dan is passionate about making golf accessible and enjoyable for everyone of all ages and abilities. Our Adaptive and Military Lessons, Clinics and Camps are taught by our PGA Professionals, who are trained in adaptive golf with assistance from experienced Veteran/mentors and include clubs and equipment (if needed), training aids, range balls, and weekly course access. In a sport where relationships are everything, golf helps Veterans assimilate back into their community through the social interaction the game provides. This program is a great moral boost and enables out Patriots to once again be active in their community and participate in the game of a lifetime! Please contact the golf shop (480-354-1234 ex. 2) for more information, and scheduling.